With the Blessings of Their Holinesses Pujyashri Jayendra Saraswathi Shankaracharya Swamiji and Pujyashri Shankara Vijayendra Saraswathi Shankaracharya Swamiji, Rig Veda Samhita Parayanam is being held every month on Dwadashi, Pradosham and Pournami at Sri Sankara Matam in the Sri Vaideeswaran Kovil Kshetra. The historic name of the temple is Pull-irukku-velur in Tamil. The word 'irukku' refers to the Rig Veda. Lord Shiva is a swayambumurthi in the temple. The five towers – Gopurams of the temple are on a straight line. A Maragatha Linga (Emerald Linga) is also worshipped. 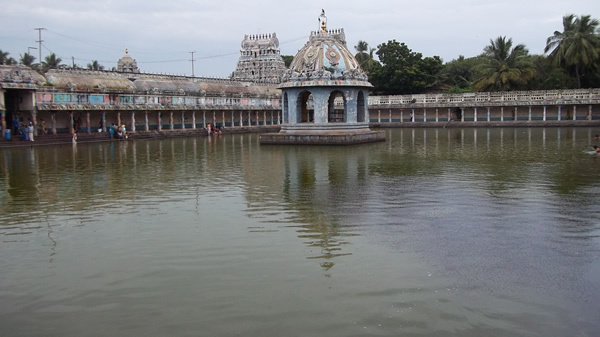 Vaideeswaran Koil is a town located between the famous towns of Sirkazhi and Mayavaram, on the Chidambaram- Kumbakonam State Highway. The famous Vaideeswaran temple is a ``padal petra sthalam'' hallowed by the hymns of saints like Thirugnanasambandar, Thirunavukkarasar, Arunagirinadhar and Kalamegapulavar. The uniqueness of the temple lies in the miraculous cure wrought on visitors afflicted with incurable diseases. Hence the presiding deity of this temple has come by the apt appellation, Vaideeswaran. There are close to 20 theertams in and around the temple.